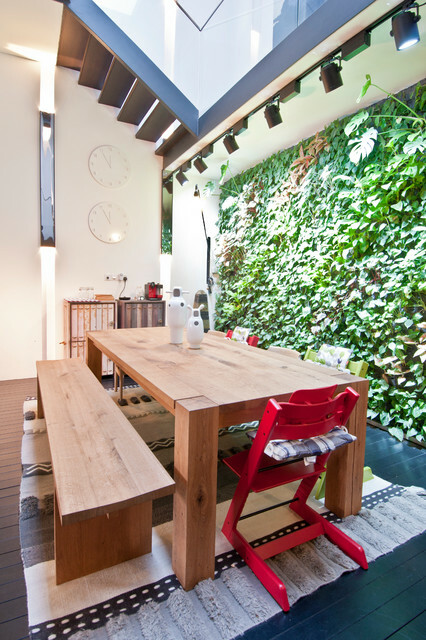 Providing a refreshing view in the elongated floor plan is the vertical garden that flanks the dining area. It is bathed in daylight from the skylight above. The all-wood ensemble also adds warmth to the industrial theme, and highlights the homely, casual ambience. However, if the rug is being used to highlight a living area or a piece of furniture, have it at least 10 to 15 centimetres larger than the furniture or area.